Apparently the bowl of noodles was not enough! 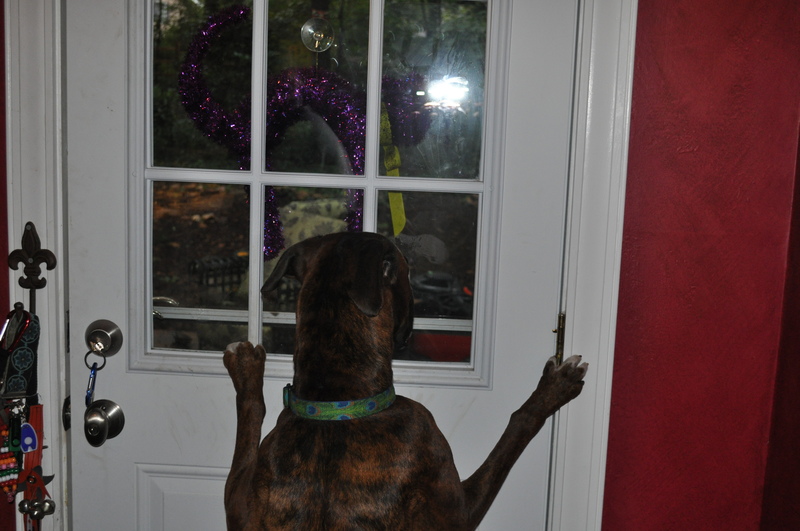 In a matter of an minutes, one of my three lovely boxers “counter surfed” pulled down a bowl of noodles and my GARMIN. I can understand the noodles but WHY my Garmin? The last I checked it did not smell like a hunk of meat ( I actually rinsed it after my run this am). 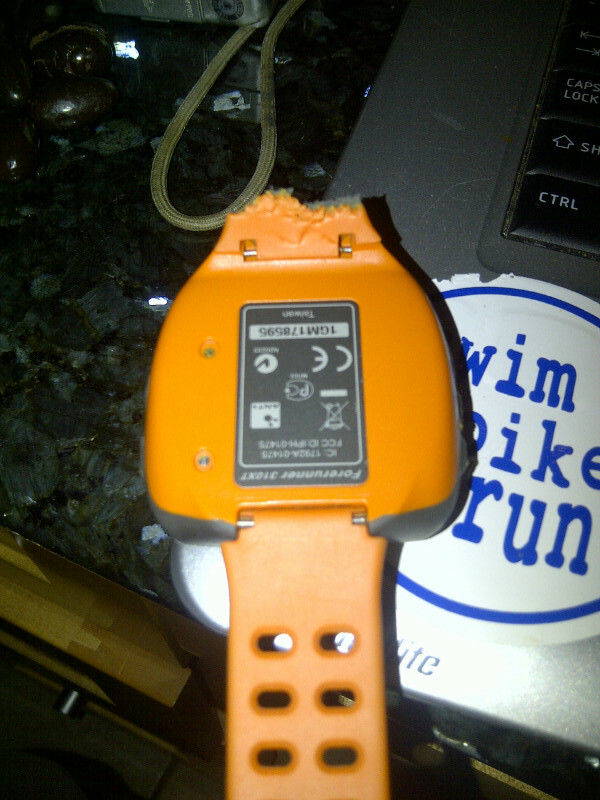 Fortunately, the body of the watch and screen were spared. I cannot say the same thing for the band which was chewed off. I have no idea where the missing piece is….I can only imagine. 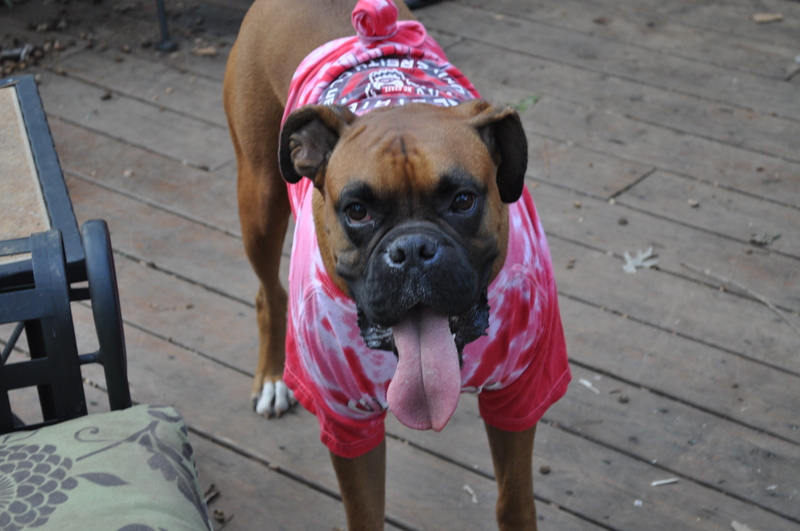 This entry was posted in Boxers, Dog Rescue, Marathon, Rescue Dogs, Running and tagged Bad dogs, boxers, city of oaks marathon, Garmin, Garmin 310 xt, marathon training, rescue dogs, running by BoxerRunner100. Bookmark the permalink. I literally laughed out loud when I read you comment. So true! 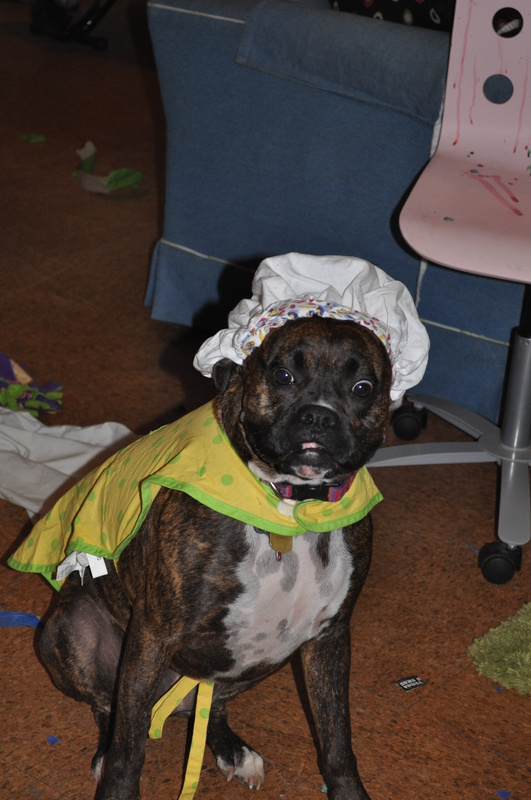 My daughter loves the dress up the dogs. I find the craziest photos on my camera!